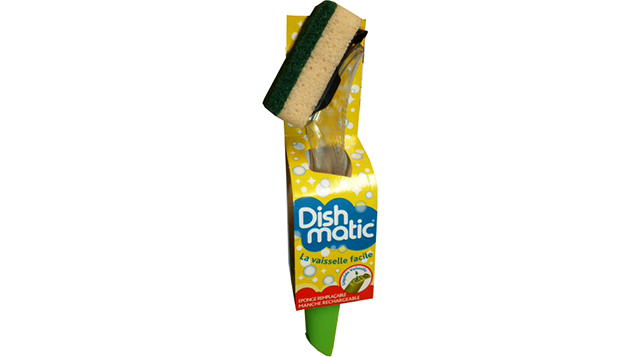 Designed to do dishes in a simple, economical and efficient way. 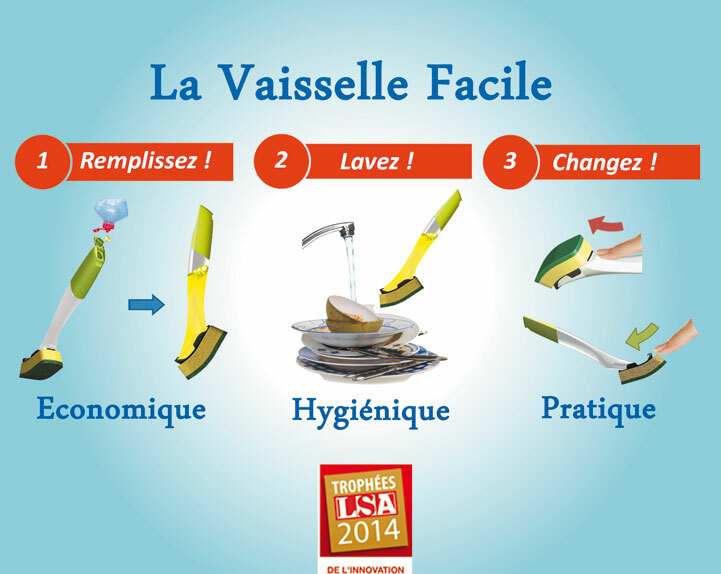 Practical: Facilitates the dishes by combining in a single accessory the refill and the dishwashing liquid. Economical: Automatic diffusion of the amount of dishwashing liquid needed. Hygienic: Hands are not in contact with dirt or washing up liquid. Interchangeable sponge (with one click). 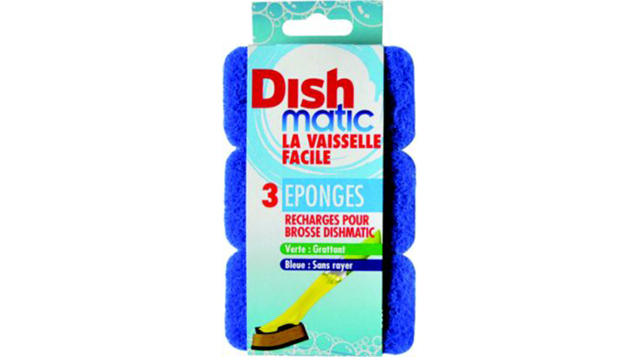 Refreshing Sponge Refills by 3 - Dishmatic. 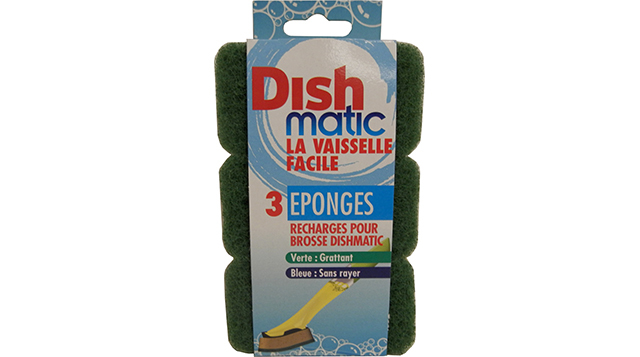 There are different sponges depending on the surfaces to be cleaned: green (scratching) for everyday use, blue (anti-scratch) for delicate and non-stick surfaces. Stainless steel scouring refills by 2 - Dishmatic. 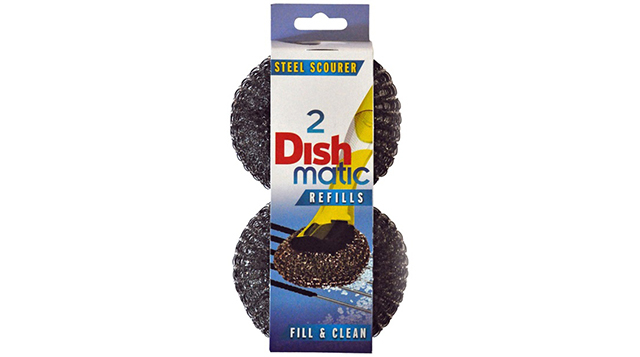 The stainless steel scrubber is designed to last a long time. More resistant, it is effective for scouring carbonized and encrusted residues. Do not use on delicate, non-stick surfaces.